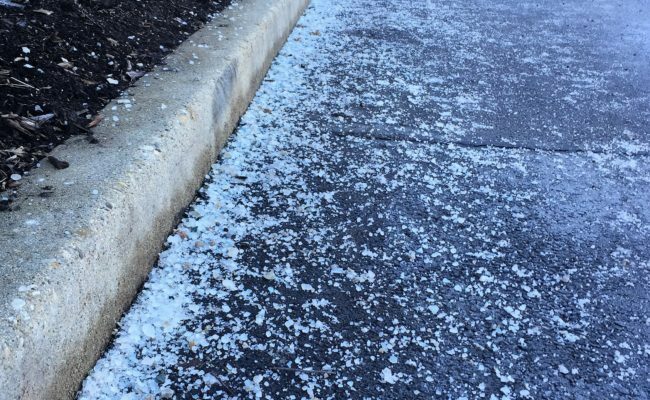 After attending the DRSCW deicing workshops in 2015, the Fox Valley Park District staff was inspired to launch an initiative to reduce the amount of salt they used to safely maintain access to their facilities during winter snow and ice events. Fox Valley Park District (FVPD) manages seven facilities (three of which are community centers), and a number of parking lots for trailheads and dog parks. 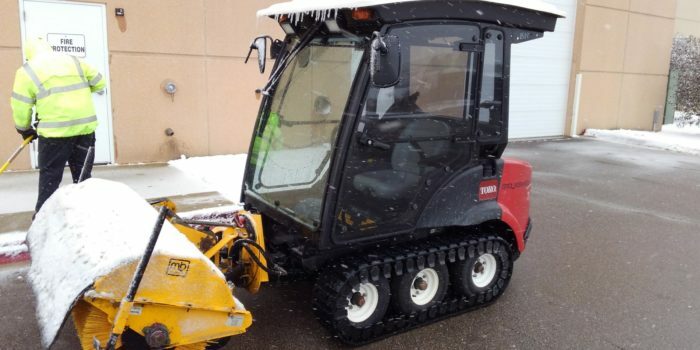 In particular, staff provides winter maintenance services to the Vaughan Athletic Center, which has approximately 10,000 square feet of walkways. In 2015 staff was exclusively using dry rock salt on all of these surfaces. In 2016 staff shifted to pretreating walkways. A brine and beet juice mixture was applied with an application system staff built themselves after a few trips to Home Depot to identify equipment that could be adapted for this use. 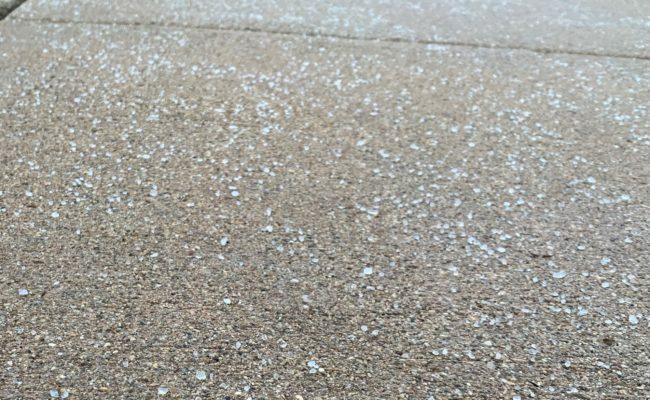 Implementing pretreatment reduced the amount of material used to remove ice once it had formed. During the winter of 2017 staff extended this anti-icing activity to Park District parking lots. Also in 2017, staff began pre-wetting salt for use during storms which allowed further reductions in salt usage. 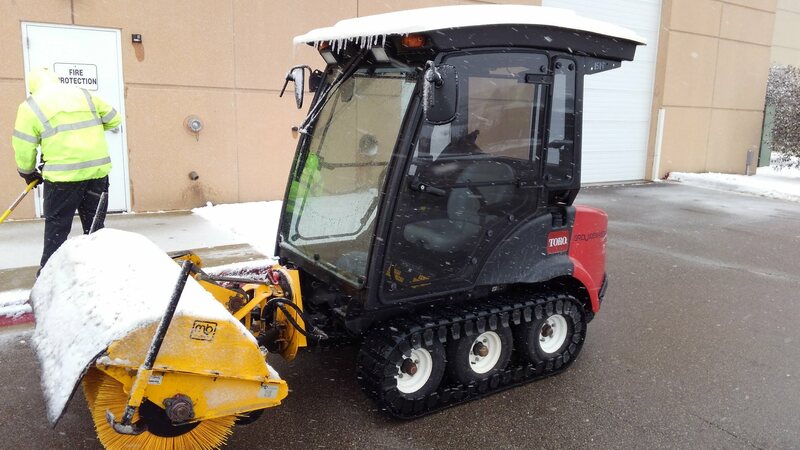 Along with the changes in materials, the Park District purchased an additional sweeper and a hand sweeper unit. Staff was resourceful and even used existing backpack leaf blowers to remove light snow accumulations. 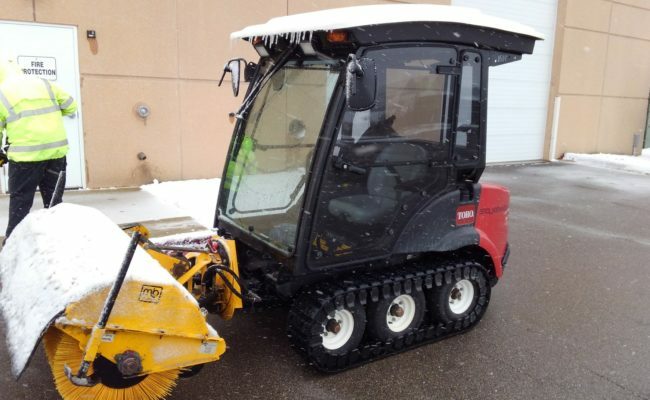 The diligent use of mechanical snow and ice removal with plows, blowers and sweepers has been key to lowering salt use while maintaining existing levels of service. Staff estimates that they have cut their salt usage by as much as 40% and even noted a reduction of reported slips and falls in the 2017-2018 winter season. This means less spending on material, less infrastructure degradation, less salt ending up in our rivers, and maintaining safe conditions for residents utilizing Park District facilities.